If you are a staff member at a CHEA-recognized accredited U.S. post-secondary institution or employed at a national education membership association (e.g. NACAC, IIE, AACC, NAFSA, etc. ), request a free login (please use your institutional email address) and sign up now! 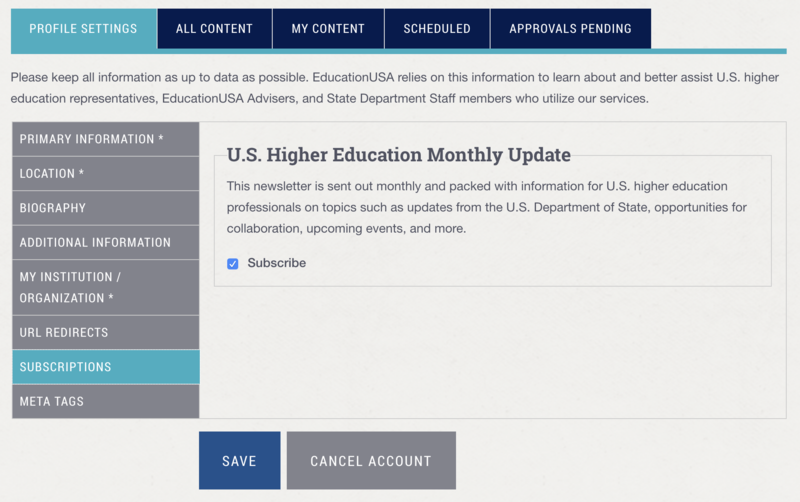 Once approved, be sure to check the box to subscribe to the EducationUSA monthly newsletter.